Since their introduction decades ago by retail companies, private labels have passed through several stages of market penetration and customer acceptance. For retailers, private labels have become valuable instruments for image creation and competitive positioning. They also have been a key factor in facilitating internationalization and the decision to expand to other countries. 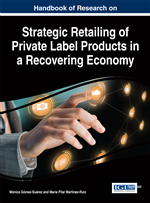 This chapter traces the evolution of private labels, from their origin to the present, placing emphasis on the strategies that retail distributors use to obtain and maintain competitive positions. As an illustration, the authors examine the case of the Tesco grocery retail chain, following it from its establishment in the United Kingdom to its most recent expansion into South Korea. The case demonstrates the role of private labels in the company´s evolution and international expansion and thus reveals the strategies followed in developed versus developing markets. Deep knowledge of customers, enables companies to obtain a lead position in markets and build an image associated with innovation and added value. To trace the evolution of private-label use through the decades, we describe both the initial strategies in the marketplace and the contemporary private-label situation. Specifically, we distinguish between more developed markets and emerging markets; the latter are targets of the internationalization efforts launched by companies. We will perform our analysis with an emphasis on the grocery industry, one of the most active users of private labels. Retail Image: The retail image relates generally to the way a retailer is perceived by its customers. To create and maintain the best possible image, a retailer must follow a multistep and ongoing process in which all the components need to be considered, including target-market characteristics, retail positioning, marketing communications, merchandise assortment, customer services, price levels, store location and physical facilities. For grocery retail chains, it is necessary to consolidate a consistent image among branches. Retail Positioning: This is where a retailer is situated itself in the final market. This positioning aims to provide a competitive advantage to the retailer by differentiating itself from the rest of competitors. For this reason, it should guide the rest of decisions about how the retailer satisfies its target consumers. This process involves a mix of the marketing mix variables (i.e., product, price, place and promotion) into an overall strategy with the intention to succeed. Furthermore, it requires to observe potential customers by means of an accurate market segmentation process that permits the retailer to identify a group of customers and match them as precisely as possible to the retail offering (e.g., Newman & Cullen, 2002 ). Mobile Application: Also referred to as an app, Web app, online app or smartphone app, this is a type of application software developed specifically to run on a mobile device (generally a small, wireless computing device), such as a tablet computer or a smartphone. This kind of applications usually provides users with similar services to those accessed on PCs. QR Code (Quick Response Code): A specific type of two-dimensional barcode that is commonly used to provide easy access to information through a smartphone or other type of mobile device equipped with an imaging receiver. It was first designed for the automotive industry in Japan, and soon became popular outside this industry due to its quick readability and higher storage capacity in comparison to standard UPC barcodes. Several applications can be mentioned in general marketing, including item tracking, product identification, or document management.